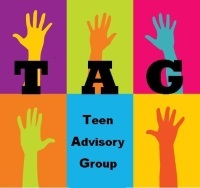 The Teen Advisory Group (TAG) is a volunteer opportunity for teens to get involved at the Library. 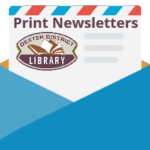 Join us to help plan Library programs, choose book titles for the teen book club, and volunteer at children’s programs. TAG meets on select Saturdays each month during the school year. Check the events calendar for upcoming dates and times. New members are always welcome, and a pizza lunch is provided. Meets in the Youth Programming Room on the Library’s main floor.